Students take one 15-credit French language course. 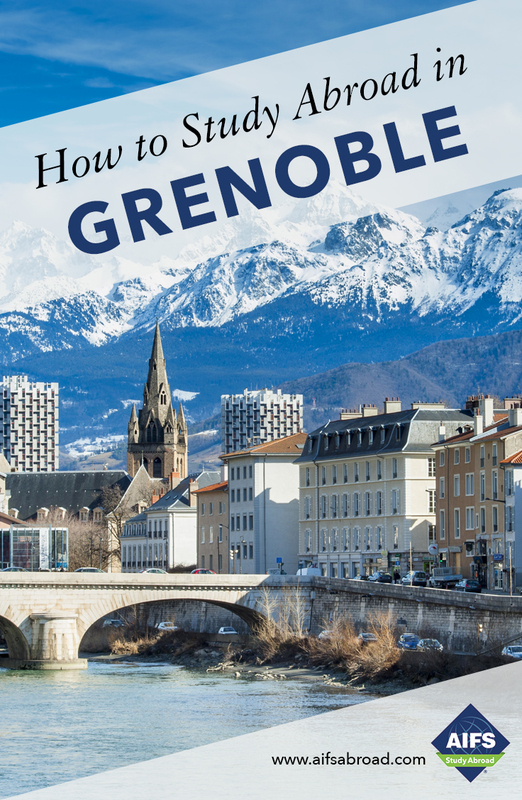 The appropriate level of French is determined by a placement test taken after arrival in Grenoble. Recommended credits are shown in parentheses followed by the equivalent level according to the Common European Framework of Reference. All courses are subject to change at the discretion of the Université Grenoble Alpes.For current course listings and all French language course descriptions please contact the AIFS Admissions Officer. For students with little or no previous French language experience. Focus is on functional uses of the language both written and oral: introducing oneself, asking for simple information, time and day, describing people, places and daily activities. Grammar covers present tense, introduction to past tenses (passé compose/imparfait), simple future, pronouns, negatives, articles (definite/indefinite), simple comparisons, question forms, situation in time (seasons/dates), numbers, adjectives and agreements. For students with some previous French language experience. Focus is on functional uses of the language both written and oral through grammar, vocabulary and cultural themes. Areas covered include giving and receiving information (past, present and future), expressing likes and dislikes, describing people, places and daily activities. Grammar continues from A1 and includes: passé compose, imparfait, future, reported speech, introduction to the subjunctive and pronouns (relative/ direct/indirect). For students with at least 2 semesters of recent French. It concentrates on communication skills (oral and written): expressing ideas, opinions and feelings, describing people and places, debating and asking questions. Students are expected to be able to understand the main points of a discussion, film, lecture or radio/television program and to pick out the important arguments in a newspaper/magazine article. Grammar areas covered include: present, past, future and conditional tense, present subjunctive, gerund, passive, pronouns and prepositions. Students with 4 semesters or more of recent college French will usually place at this level. Students will learn to understand and express themselves in a variety of situations, not necessarily familiar to them, that require them to exchange information and provide personal opinions using complex linguistic structures. Grammar areas include: uses of the subjunctive, imperfect, preterit, conditional and imperative in specific situations (arguments, degrees of possibility, cause, consequence, etc), direct and indirect pronouns and use of negatives. Students with extremely good French (6 semesters or more of recent college French) will usually place at this level. Students will learn to interact naturally and with spontaneity and should be able to express the subtleties of their feelings and thoughts both in spoken and written French. Students work at moving with fluency between different tenses, making convincing and structured arguments supported by concrete examples and learn to nuance their use of language to suit a given situation. The grammar covered is designed to refine and develop communication skills and consolidate knowledge already learned.